Bold designs, but feather light. 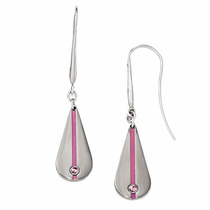 Titanium is hypoallergenic, which makes it a great choice for earrings. Perfect for ladies with allergies to other metals. You can wear these every day, all day long. Modern styles for today's woman. Do you suffer from reactions when you have worn other earrings in the past? Well you ...read morewill not experience any sort of allergic reation wearing our titanium earrings! Why? Our titanium earrings have no nickel. Using only commercially pure titanium (CP2 grade) they do not have alloys that gold, silver or fashion earrings contain. 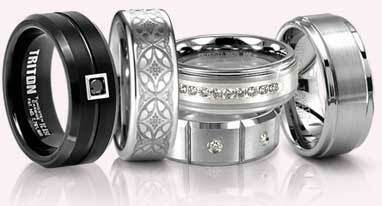 Titanium is inert, bio-compatible and completely hypoallergenic. It is used inside the body for joint replacements, surgical implants, heart valves and more, for it's healthful properties. So titanium is the perfect choice if you are sensitive to alloys. 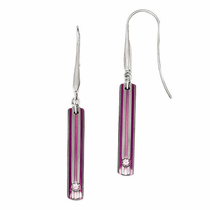 These titanium earrings are incredibly light - you will probably forget you even have them on! Our earrings are made by Edward Mirell, the pioneer of titanium jewelry and endorsed by the World Titanium Council and International Titanium Association. All Edward Mirell earrings are made here in the U.S. (Located in Deerfield, Beach). 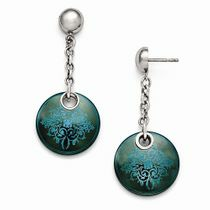 Finding earrings that won’t irritate is an issue for many women, particularly those with allergies. But fortunately, titanium earrings offer all the style and elegance without any of the drawbacks associated with other earring styles. 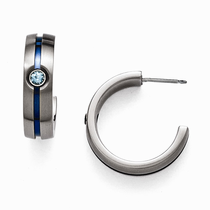 First and foremost, titanium is a hypoallergenic metal, so it’s great for ladies who have allergy concerns when it comes to their jewelry choices. These earrings contain only commercially pure titanium (CP2 grade), so they don’t contain any nickel or alloys that you’d find in gold, silver or other fashion earrings. Even medical professionals use titanium for things like surgical implants and joint replacements because of how safe this metal is, so it’s the perfect choice if you’re concerned about health when it comes to your jewelry. Another big benefit of titanium is that it’s feather light. Finally, you can big earrings and other show-stopping looks without worrying about the weight of them pulling on your earlobes all day. Large titanium hoop earrings, drop earrings and other chunky styles feel as airy and non-irritating as studs thanks to the light weight of this metal. Plus, there’s the durability to consider. Titanium is more than just lightweight and hypoallergenic; it’s also one of the most durable metals available in today’s jewelry styles. So when you choose titanium earrings, you’ll be getting an accessory that you can wear not just for years, but for decades. 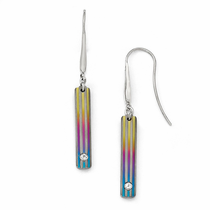 For that reason, many people choose to give titanium earrings for those important milestones in life, like graduations, weddings and anniversaries. 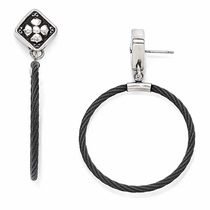 Because the earrings are built to last, they instantly become family keepsakes. 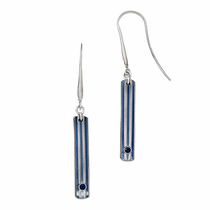 At Titanium Jewelry, you’ll find a great selection of titanium earrings from which to choose. All of these styles come with a convenient 30-day money-back guarantee, so if you don’t absolutely love the style, you can return your earrings hassle-free. Because they’re made with titanium, your earrings purchase will also include a lifetime warranty guaranteeing the durability of each piece.